Today I received an inquiry from a member of a team who's comm's coordinator gave them an antenna with a Rat Tail on it that they had ordered from me. 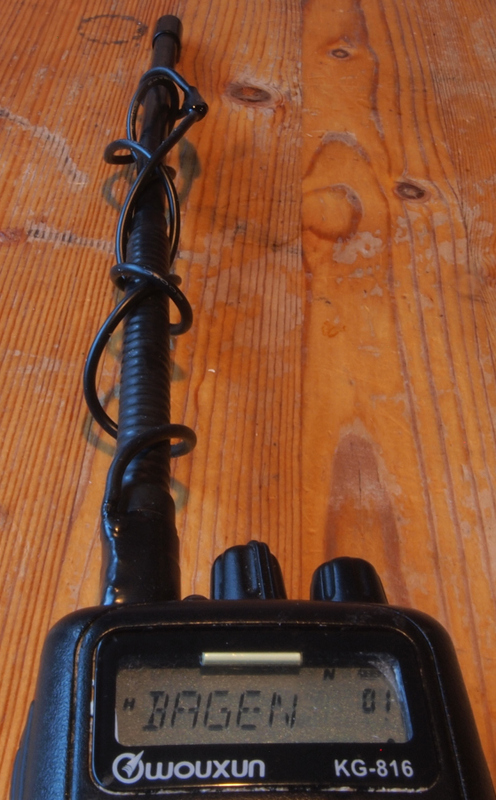 After some back and forth, I realized that the comm's co-ordinator had bought the Rat Tail pro-actively so that his team would have the best possible comm's in terms of their antenna choices. However, the team member had not received any instruction on the use of the Rat Tail (again, our fault as the only instructions are on our website and not shipped with the Rat Tail,) and may have been under the impression that the Rat Tail could be left coiled around the antenna when not required. It was then I realized the flaws in my description below - of why you may benefit from a Rat Tail. In my day job, I use a radio for the whole shift, and that includes some backcountry time where I may get dropped off by a helicopter, and I then have to communicate with our dispatch center via repeater. I carry a Rat Tail in my pack in the event I cannot trip the repeater, and so far, I have never needed one. However, I am spoilt in that I work in a National Park where most of it is now covered by repeaters, and in the event I'm somewhere that's not, I have a Sat Phone and an inReach that I do not have to pay for (although I also have my own personal inReach that I have for off-duty recreational use). The Rat Tail is intended to be 'Plan B'. In my experience, 95% of my clients (including me) do not need one. If you commonly work in a remote setting where you have found that your ability to achieve comm's with a critical repeater and distant group via simplex may be compromised by distance from your target, then a Rat Tail may be a good 'Plan B', and in fact I have a number of clients who have made good use of them when the time comes (such as Scott on the right panel). The Rat Tail is not the Magic Sauce for antenna performance or to mitigate the wrong antenna selection. Most important is using the proper antenna that is 1: matched to the band you are on (do not use a VHF antenna for UHF or a UHF antenna for VHF) and, 2: tuned to be with 5MHz on either side of your operational frequency. My advice would be that do not add a Rat Tail to your original order because you want to maximize your comm's options, but order it because you know that it is highly probable that you may be in situations where just getting an edge on your comm's range is something that you will need. And if you are the designated Comm's coordinator for SAR, or a similar sort of team, be sure to train your team in the proper use of this tool. This training would include how to deploy the Rat Tail on the radio, and the when and where of when it might be useful in the field. You have to consider the reality that your field situation imposes on your teams, and when a team member is already stressed with freezing fingers, he is unlikely to start digging around in his pack, extracting the Rat Tail, and then getting it mounted on his antenna unless he is desperate to establish radio comm's because he has run out of other options such as Sat comm's. It would be even worse if for example, if they dropped it into water, thin air, or 50cm of fresh powder snow and had to dig around to find it. 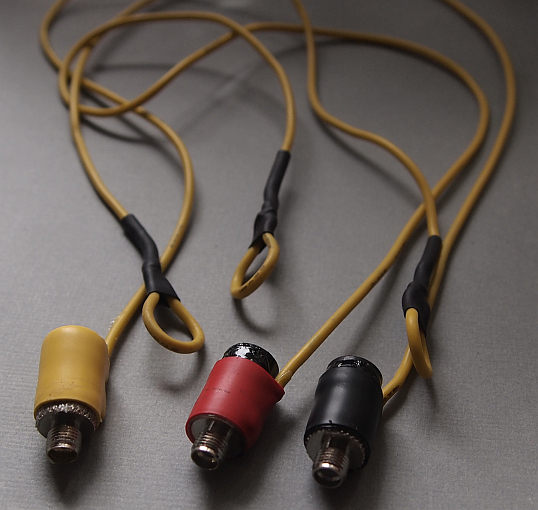 A simple but significant, and inexpensive improvement that can be made to the Smiley HT antenna SMA-F and SMA-M bases we sell is the addition of counterpoise from a device commonly referred to as a "Rat Tail". The effectiveness of a counterpoise element is not a myth, it is pretty simple science and therefore not about to make anyone millions. Technically, counterpoise is is not a true ground plane, it would more accurately be referred to as a 'virtual ground plane'. You may have seen radial elements at the bottom of a base station antenna on a roof somewhere, and these are there to give counterpoise. So in the case of a rubber duck, counterpoise gives a virtual ground plane reference to trampoline the signal using the same dynamics analogous to what radials do for base station antennas. First it worth noting that while a half wave antenna does not require a ground plane, an antenna that can reference a ground plane such as a 5/8 wave has better propagation. Our 5/8 wave is a base loaded 1/4 wave that radiates a 5/8 radiation pattern. That fact is germane to the antennas we stock. It is also worth noting that a Rat Tail will significantly render the 1/4 wave model 270a dual band telescoping antenna into a 1/2 wave dipole on VHF. These have been bench tested by Smiley and they have found that while this Rat Tail does introduce a ground plane, it does not increase, or decrease SWR. If you are already on a reasonably good ground plane, then the Rat Tail would not demonstrate a noticeable improvement on signal characteristics. But, you never are on that perfect ground. We have found subsequent to subjective field testing in environments where Guides often find themselves: on water, ice/snow, or porous regolith, means the ground you're standing on often acts as a capacitor with regards to your radio signal. Thus the counterpoise element can increase your transmit range exponentially because it introduces the all important ground reference that is needed for efficient signal propagation required by the vertical tuned element in monopole antennas. Our users have also reported they have seen a significant improvement in receive after deploying a Rat Tail as well. We make these using a 1/4 wavelength* piece of silicon #18 stranded copper wire, and soldered to the metal Smiley base. The bitter end is looped so it can be placed over the antenna tip when not in use. This MOD is compatible with your antenna and can be left on during travel and used when required, so you do not have to keep switching the base. The silicon jacket has superior flex, durability and cold weather performance compared to normal PVC coated wire. And more importantly, it is an insulation material that keeps the capacitive losses to the system at a minimum. 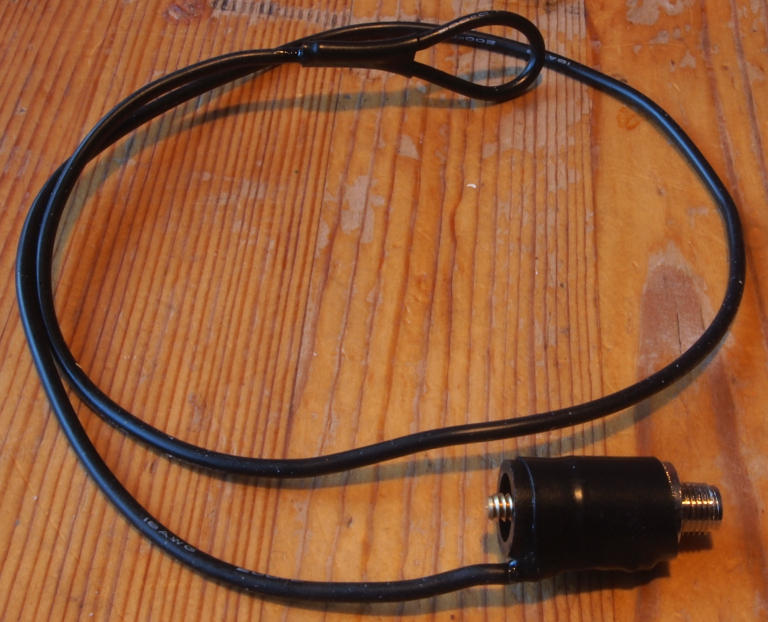 Instead of being clamped to the outer collar of the SMA connector on your HT antenna, ours are soldered to prevent attenuation and loss introduced by a clip and acts as a counterpoise so that RF from the HT doesn’t couple with your body. We make 2M Tiger Tails suitable for use with our rubber ducks and they are highly recommended for use where you need maximum range from your antenna. Our Rat weighs 12 grams, and is compatible with all the antennas, so it can be used with any of them. For a mere $19.95, this is a 'must have' for backcountry travel, and a mandatory piece of kit if you are a guide or may be the one that has to summon assistance via radio. * NEC, the famous computer program for modeling antennas, indicates that 1/4-wavelength is an optimal radiator length for antennas with a vertical radiating element longer than 1/4 wave. The further above the ground the radiator gets, the shorter it can be, but at approx 1M where a Rat Tail may be held in position by the operator of the HT, peak radiation efficiency is going to be close to .25 of a wavelength. Therefore our VHF Rat Tails are about 50 cm long to extend the virtual ground plane footprint to match the goalposts defined by a virtual 2M matrix. Put another way: this is a much cheaper solution than running a wire along the top of your skis and gluing a TNC Bulkhead to your ski tip so that you can turn your ski into the ground plane! Rat Tail coiled around antenna for transport. These "rat tails" are directional and can be used to change both radiation angle and direction**. You'll remember that a 5/8 wave flattens out and goes the distance more than the stock 1/4 wave duck that comes with HT radios. So the Rat Tail gives best performance when pointed in the general direction of the station you are trying to hit (such as a repeater), and right at the virtual horizon, while maintaining a 90 degree angle between the rubber duck and rat tail. It is always best to keep your radio as far away from your body as possible when transmitting, that's where a speaker Mic comes in handy. Remove your antenna from the radio. Unscrew the SMA knurled base from the bottom of your antenna. Screw the rat tail in the same place. When transmitting, the looped end of the rat tail is the furthest away from your body pointing in the direction of the object you are trying to talk to (an upturned ski pole affords a handy tip to place the loop over if you need to free a hand). For travel convenience, you can loop the rat tail around your antenna rather than having to change bases all the time. You can transmit without taking it off while it is coiled, but to get the best performance, deploy it when possible. **In marginal conditions, extending the counterpoise horizontally and pointing your hand to steer the radiation pattern where you need it, produces a dramatically stronger signal than letting it "droop" towards the ground. Experiment with the angle of the counterpoise to get the best results. In effect, you are creating a form of "V" type center fed vertical dipole with a bit of gain compared to just the factory installed antenna. These Rat Tails only fit the Smiley antenna base , and are available with SMA-M (For Yaesu), or SMA-F (for Wouxun, Anytone, and most Chinese radios). They are tuned for VHF, but can provide resonance for UHF.